Shipping and ports are very significant for economic development. Shipping is already intense within the Baltic Sea and forecasts predict continued growth both in terms of frequency and transport volumes, increasing the risk of accidents. In spatial terms, shipping lanes and access routes to ports are of key importance in view of the underlying linear infrastructure. Give an introduction to Maritime Spatial Planning (MSP) with focus on implications of MSP on the shipping and ports sectors. Bring together pan-Baltic stakeholders and other international players from the port/shipping sectors to discuss and analyse the importance of marine spatial planning for these sectors, their roles and perspectives. 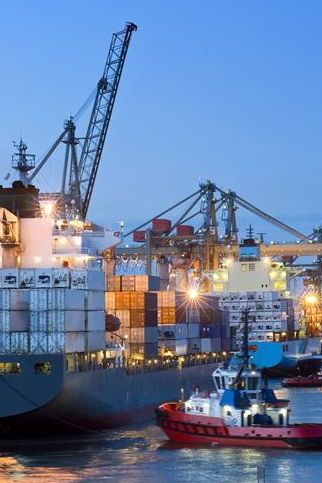 Identify considerations from shipping and ports sectors to be taken into account in planning process. Identify main issues for dialogue and collaboration on a pan-Baltic level. Identify the use of existing or new structures for MSP dialogue and collaboration. Establish a starting point for upcoming processes and partnerships. Contribute to recommendations on future development of MSP around the Baltic Sea Region.